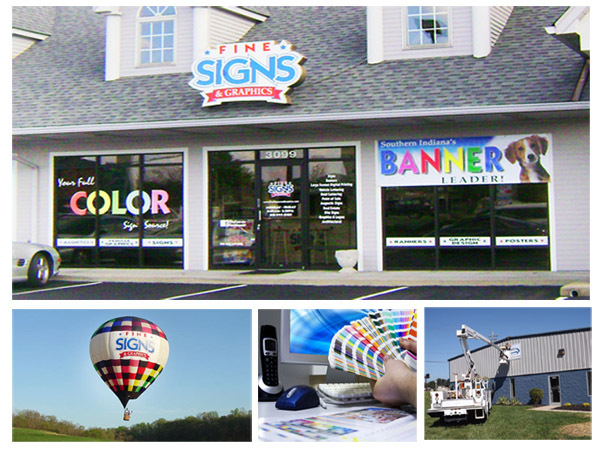 Fine Signs and Graphics is an independently owned and operated full service sign company. A full range of products and services are available including wooden, aluminum, & plastic signs, plus banners, large format digital printing, window and vehicle graphics, electrical signs, sandblasted signs, tradeshow displays, dimensional lettering, A.D.A. signage and more! Be sure to check out our Product Gallery to see our latest work.